2018 has been a GRAPE Year for Purple Lovers! 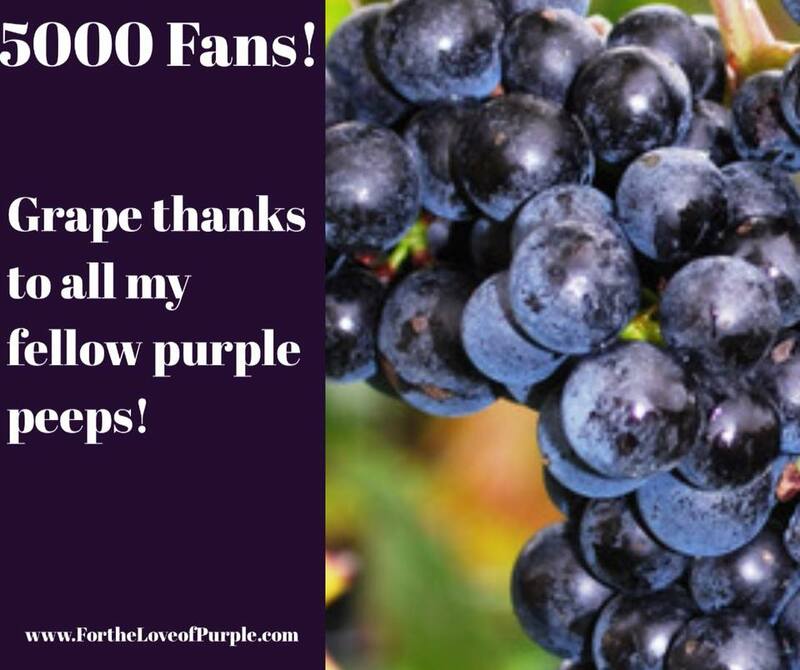 I’ve watched in amazement as the For the Love of Purple Facebook Fan page went from 3000 fans in December of 2017 to well over 5000 fans so far this year. We’re at 5265 as I type this and it’s growing by 200-300 per week! It never ceases to amaze me how passionate purple lovers are. I’ve said it many times before. There are those who like other colors and may own several things in that favorite color, but purple people are hog wild nuts about purple! The typical purple lover owns so many purple items, their relatives have taken to calling their love of purple a “sickness for which there is no cure.” And we don’t want one! I know several purple peeps who have purple hair. 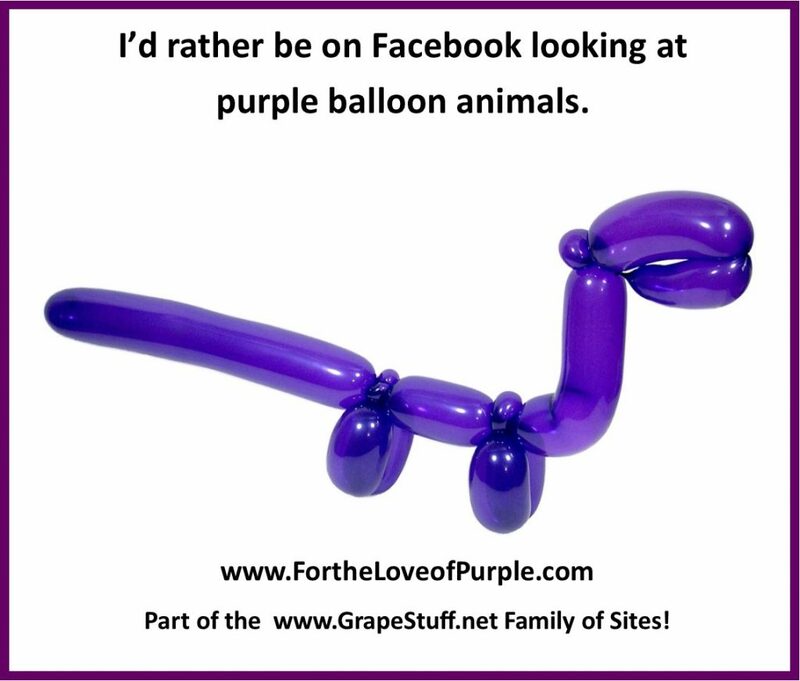 I, myself, only wear purple…every day! I even wear purple on the 4th of July because, and I quote myself here, “Purple is made up of red and blue” and I usually wear something white as an accent color. So where do you fall in the Purple Sickness? Are you in the initial stages where you are young and have a few purple things? Do you have a lot of purple and are people beginning to think you’re a bit crazy? Or are you in the advanced stage of Purple Mania where, if it ain’t purple, you don’t want it?